She lives! Chloe lives! She isn't dead after all. She rose out of her coffin like a vampire. Her "death" was a set up and Victor (who else?) was behind it. Faking Chloe's death was the Plan B,that "The Moustache" was referring to. Victor's motive was simple. If everyone believed Chloe to be dead, then questions about who helped her escape would be put to rest and Victor would be in the clear. I have to admit that I laughed when that coffin lid popped open. I wasn't completely surprised, though. Dr. Harris, the doctor whom Victor bribed to help Chloe escape, doesn't exactly seem trustworthy. He's definitely not the most ethical medical practitioner. Would you want him to treat you? Leave it to Victor to find the dirtiest doctors around. 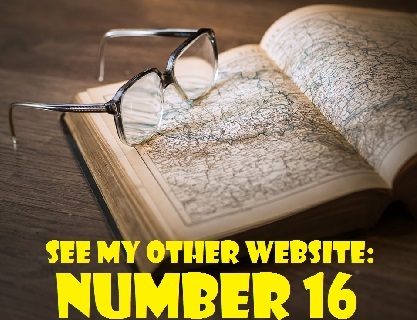 Sugar Cane Ashby is getting more and more tangled up in a web of his own deceit. He's really become a villain, hasn't he? He's going down fast, though.. It won't be long until his foul deeds and his lies are completely exposed. It seems that he's spending all of his time covering up his half-truths and falsehoods. No wonder he's so stressed. He even yelled at Reed for having his guitar in the way. Cane's has also started to make threats, He promised Hilary that she would regret causing trouble for him. Of course, that didn't stop Hilary at all. That woman was born to be a Troublemaker with a capital "T.". The look on her face when she stirs up trouble is priceless. However, her shenanigans are not going to help her score any points with Jordan. It seems likely that Jordan and Lily will eventually get together. Lily will probably turn to him for support when she discovers the truth about Cain and the Brash & Sassy photographer will be happy to provide a shoulder for her to cry on. As for Hilary, I don't think she's really gotten over Devon. She is still jealous of Mariah and Devon's relationship. Devon hasn't gotten over Hilary either. He knows what she's like, but he's still hooked on her. * Graham is really Dina's son, a son she had before she met John Abbott. Perhaps he was raised by his father and his father's family. * Dina is in the early stages of Alzheimer's Disease. That's why she sold her company and is trying to make amends with her family. Graham, as her caregiver, wants her to return Paris before she gets worse. At the Abbott dinner, Dina repeated repeated herself. Ashley and Traci both noticed a change in her. We shall see if either (or possibly both) of these theories turns out to be correct. It is more likely that Dina has dementia or some other medical condition. After all, Graham mentioned contacting her doctor. However, another thought crossed my mind. What if Graham is having Dina medicated so that she will display symptoms of dementia? One thing is for certain. Dina really wishes to remain in Genoa City. It appears that she sincerely wants to reconnect with her family. That's why she decided not to go back to Paris yet. Surprisingly, Graham gave in and stopped pushing her to stay. Dina's words about returning to Paris were very interesting. She told Graham that going back was "the right thing but it feels so wrong." Why did Graham surrender so easily? Could it be that he wanted Dina to stay all along so that her family would believe she's ill? Victor Newman certainly does't trust Dina's "companion.". After meeting Graham briefly, he surmised that he is after Dina's money. He warned Ashley that she'd better watch her mother's bank accounts because "given half a chance, that man will drain them dry." Besides Graham and Dina, another person of mystery on Y&R is Tessa. I've been trying to figure out what's going on with her. Is she taking advantage of Nikki? Sharon seems to think so. She's not pleased about her son Noah's interest in the singer/guitarist. In fact, she told Scott that "Nikki is Tessa's meal ticket and she's using Noah to keep the graving train rolling." Maybe Sharon is being overprotective of Noah, but she has reason to be concerned. Tessa has too many secrets. For example, she's hiding something regarding that ex-boyfriend of hers. She's also very mercurial, always changing her mind. Poor Noah! He just can't seem to pick the right women. However, he's not the sharpest knife in the drawer either. Hasn't he learned anything from his experience with Marisa? He should end his involvement with Tessa until she comes clean. He won't, though. Okay, here is some news for fans of Michael Muhney, ex-Adam Newman. There has long been speculation that Michael Muhney will return as Adam, although head writer Sally Sussman has not been in any big hurry to revive the character. However, Eric Braeden, who plays Adam's father, the Great and Powerful Victor Newman, has implied that Adam will be written back into the show and that Muhney will be playing him again. According to the website Mstars News, Braeden responded to a Twitter exchange between Muhney and a fan. He asked for the fan's patience with regard to the prospect of him and Muhney performing together again as father and son. Another point to consider is that Hunter King (Summer Newman) is not around right now. Her issues with Micheal Muhney, you'll recall, led to his firing. Michael would be much more amenable to coming back to the show with Hunter absent. However, the actor's return would not sit well with those who are uneasy about his alleged conduct on the set. A note of caution here, though, Muhney fans. Don't uncork the chamagne bottle yet. There is no official word of Micheal's return to the fold and this could simply be a tease on Eric Braeden's part. Yet, the possibility is intriguing to many. Lauren isn't too thrilled that her son is dating Sharon. She was very critical of Sharon's checkered past and her multiple marriages. (Although Lauren has been married to Michael Baldwin for a long time, she does have two previous marriages - Paul Williams and Scott Grainger, Sr. -and several flings and affairs under her belt). Having said that, does Lauren have a point or is she being too judgmental? Would you want your son to be in a relationship with Sharon? Do you think Scott and Sharon make a good couple? Tell me what you think by responding to the poll below. Do you think Scott and Sharon make a good couple? Yes, they get along well and Sharon is really trying to improve her life. No, Sharon is nothing but bad news. She'll eventually hurt Scott. No, Scott is too young for her. He's better off with someone like Abby. No, Sharon is better off with Nick Newman. Maybe, but they have a lot of obstacles to overcome. That's all for now. Don't forget that the next edition of Y&R Report will appear in this space on Saturday, June 24, 2017. 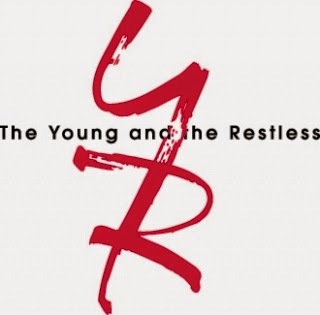 The May sweeps are over but there should be some summer fun on The Young and the Restless.